Family photo walls are one of our favorite projects to work on (and they also happen to be something we specialize in). 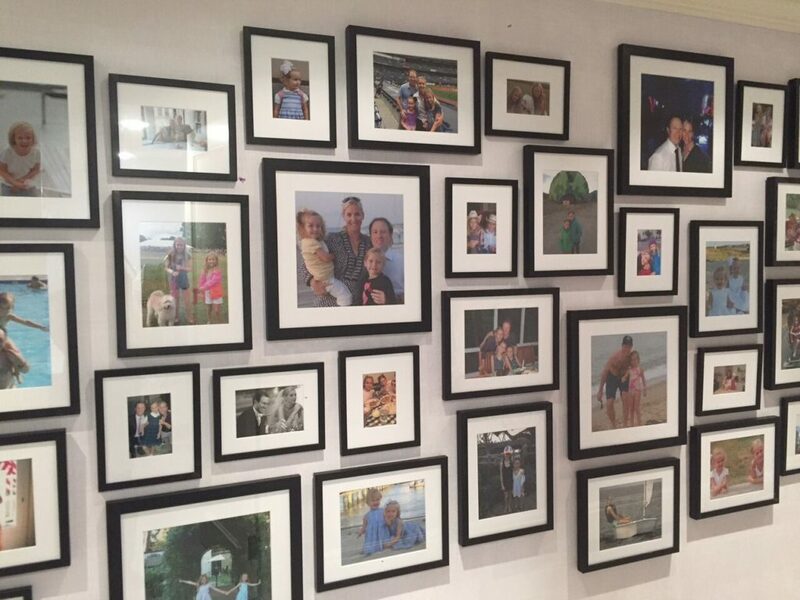 We love helping families curate a daily reminder of their favorite memories, while also creating a beautiful display. Throughout the years we’ve built family photo walls in all sorts of styles, from colorful and casual, to tightly curated and gallery-like. If you’re looking for inspiration for your family photo wall, take a cue from some of our favorite projects from the past. A breakfast nook doesn’t get much more cheerful than a bright orange banquette and the shining faces of your family through the years. Here, a selection of black and white photography in black and white frames creates an elegant display on a staircase. This client turned a hallway into a gallery of family history. The photos, in both color and black and white, are given a cohesive feel with matching white frames. This arrangement is similar to the one above, but mats were added for a fine-art feel. One of our favorite ways to add personality and fun to family photo walls? Include children’s artwork in the mix, like in this gallery below. For a sleek and modern style, this client chose to hang black and white photography against a black wall. Need help creating a custom photo wall for your family? Find out more about our family photo wall services here.